AVALON — The Avalon City Council and operators of Casino Dock Café were both concerned about the state of the harbor’s fuel dock. Council members agreed to take a step forward in addressing the concern and unanimously agreed Jan. 20 to pursue an engineering study to determine whether viable short-term repairs could be made to the fuel dock. The study, which would have to be conducted by a certified structural engineer, could cost the city up to $10,000 and provide the council with limited options. Specifically, the study could determine what repairs are necessary or, if repairs cannot be made, make a recommendation for reconstruction. Hurricane Marie caused the Avalon Harbor fuel dock to be significantly damaged last summer. Harvey added the city of Avalon derives $58,000 annually from Casino Dock Café, which is adjacent to the fuel dock. If the fuel dock were deemed unsafe, it is possible Casino Dock Café would have to shut down. Dennis Jaich, interim public works director for Avalon, confirmed the fuel dock appears to be in bad shape and told council members repairs could take six to eight months. Jenny and Russ Armstrong, who operate Casino Dock Café, are willing to help pay for a portion of the study. Council members expressed concern about the potential costs of the fuel dock project and whether Casino Dock Café would lose significant business during construction. Avalon has a grant for the fuel dock project through March 2016. However, if the city makes significant progress in upgrading the fuel dock, either via repair or replacement, the grant can be extended. Harvey told council members there is enough funding in the city budget to cover the costs of the engineering study. Located adjacent to the Casino, the fuel dock provides boaters with diesel fuel and gas. Casino Dock Café offers beer, ice, snacks and soft drinks. Another fuel dock operates in Two Harbors. City officials spent seven or eight years discussing whether to repair or replace Avalon Harbor’s fuel dock. The California Coastal Commission also has been involved in the process. Avalon Harbor services about 20,000 transient boaters each year, though not all of them use the fuel dock. 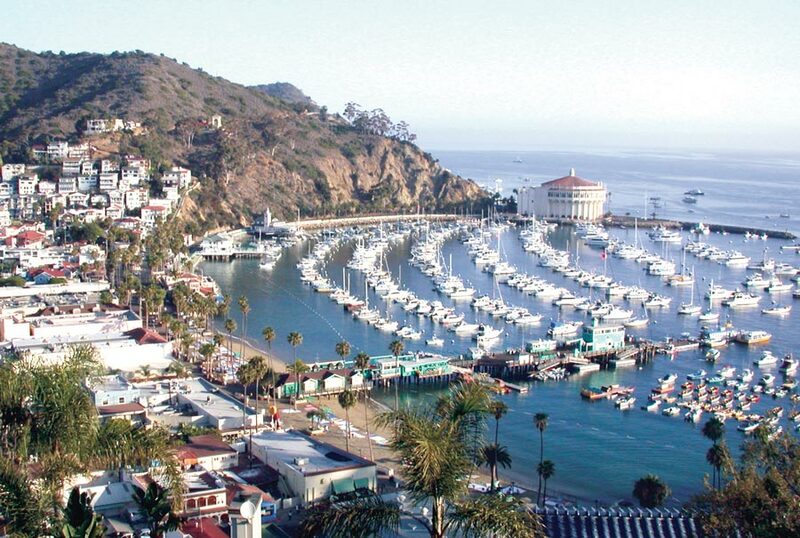 The Avalon Planning Commission considered plans for a new fuel dock in November 2014. Any action on the Avalon Harbor fuel dock would certainly include planning commissioners, city council members and the Coastal Commission. When the study would be completed and submitted was not announced.